I write this in the depths of winter, a day bracketed by frost and chilled by a cold westerly wind. It’s a day when my heaviest tweed jacket is a natural choice, and when it’s hard to imagine the feeling of sunshine on one’s face. Quite naturally the kind of clothes that I want to wear today – thick flannels, substantial tweeds, insulating corduroys – are on my mind, and were I to place an order with Chris they are what I’d go for. Wrong, wrong, wrong. This is exactly when a man should be ordering clothes for much fairer conditions. An optimist would be ordering a mid-weight suit, or perhaps a Shetland jacket for the spring, while a realist would be ordering business clothes in tropical wools, and sports jackets in Irish linen, for the summer. This is no reflection on Chris’s service – in my experience his work in show business has given him an ability to deal with rush jobs that few other tailors share – but on the glacial nature of the bespoke process. I recently interviewed the celebrated photographer Elliott Erwitt, who told me that he believes that every image he produces benefits from the fact that he shoots on film, and goes through the laborious process of developing and printing his pictures the old fashioned way, in a dark room. 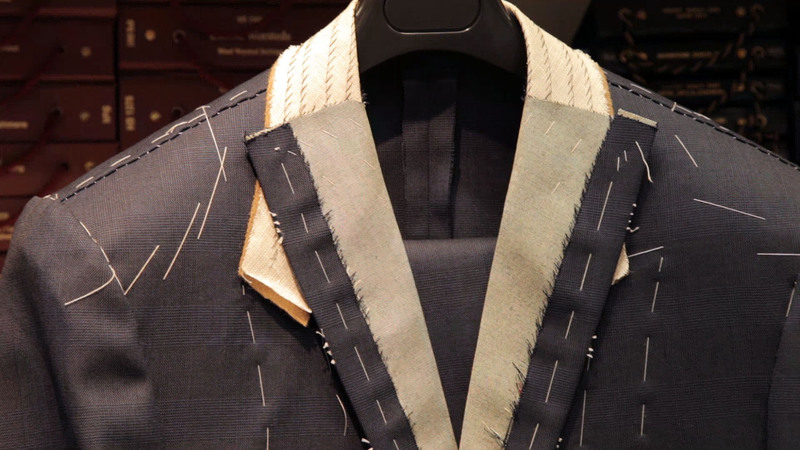 In a similar way a bespoke garment benefits from the time spent poring over the fabric bunches, the conversation about details like the button stance, or the vents on the jacket, or the pockets on the trousers. The time dedicated to discussing and considering each element is an investment repaid when the garment is finished. The flip side of this is that garments specified and ordered in a rush, or fitted on days when the client’s mind is elsewhere, may end up being satisfying, but more by luck than design. Experienced customers order their clothes a season ahead, to ensure they get the most use out of them. The life expectancy of a well-considered bespoke item should be at least a decade, so it’s worth taking the necessary time to make sure it’s right.